I knew cold brewing coffee was next on my summer coffee adventure but I thought it would be difficult. I was looking at this recipe and hem hawed around because I didn't have anything like the bins that were used. 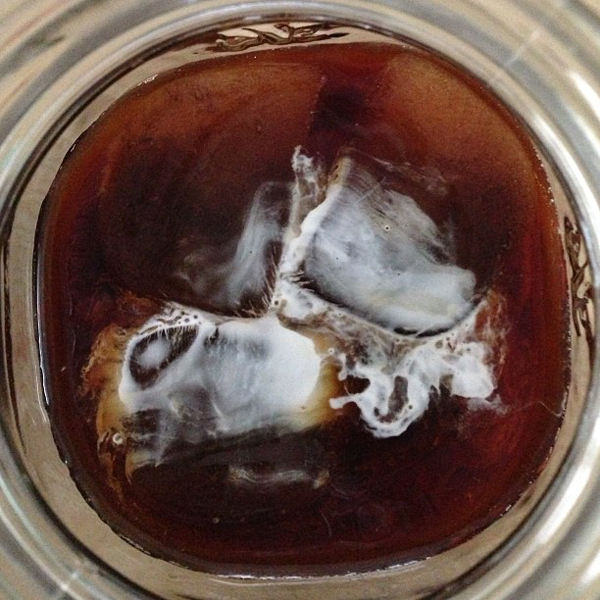 Then someone tweeted me this cold brewed coffee recipe and saw they were just using a jar. A jar?! Well, that is right up my alley! 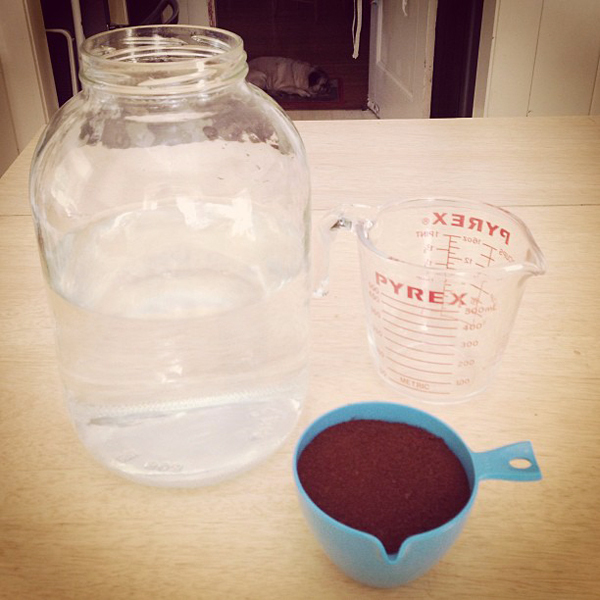 Mix coffee and water together in a jar and let sit at room temperature for 12 hours. Strain and mix equal parts coffee to water. Add milk and ice. I practically quadrupled the recipe so I could have a big batch for the week. It really was easy and I was surprised at how smooth the coffee turned out. Went great with my coffee ice cubes!